And find out how to get your free tickets! Monday may be another big day for Apple, but it's also a big week for gaming as E3 gets under way in Los Angeles. Trouble is, E3 tends to be all about the buzz around consoles. That's why our friends at PC Gamer came up with the idea of the PC Gaming Show last year - a regular E3 event about PCs and nothing else. So, it's back by popular demand! So here's a few things you need to know about the PC Gaming Show. 1. What's it all about? 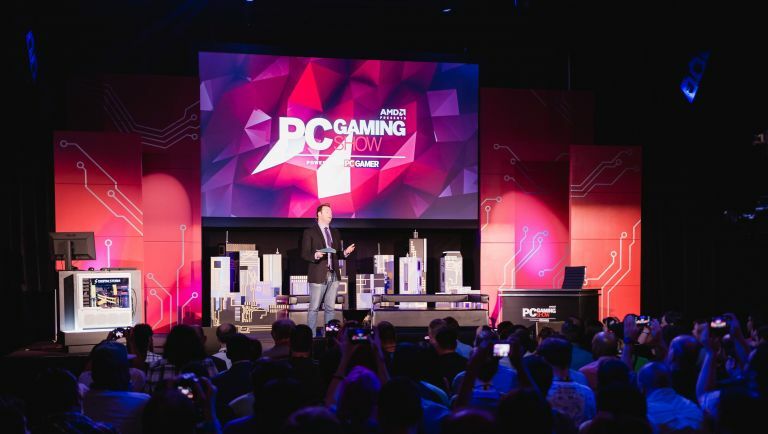 The PC Gaming Show was created to “shine a light on the most powerful and versatile platform for gamers”. The show will be live on Monday from Los Angeles during E3 at 11:30 AM PDT (6:30 PM GMT).Watch the PC Gaming Show live on Twitch and YouTube as well as PC Gamer's Facebook page. The event is free and open to the public. If you're in Los Angeles around this E3 then you can get a free PC Gaming Show ticket. It's taking place at the Theatre at Ace Hotel from 11am on Monday. The event kicks off with an on-stage shopping spree, The Steam Speedrun presented by Razer, where one lucky gamer will have the chance to fill their cart with as many games as possible in three minutes, on Razer's dime.